Greetings from Shannon Fabrics! Can we just say how much we love Quilters Dream® Batting? In fact, almost all of the quilts that are made by our Cuddle® Specialists are made with Quilters Dream Batting. It’s easy to work with, soft, fluffy, warm, and it makes our applique quilts especially fluffy! We made this cute elephant quilt with Dream Puff. Shannon Fabrics is also so proud to be a sponsor of the Quilters Dream Hopes and Dreams Quilt Challenge forALS which raises awareness of ALS-Lou Gehrig’s Disease, provides quilts to ALS patients and raises funds for the cause. 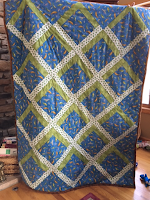 Quilters Dream® Batting is amazing. 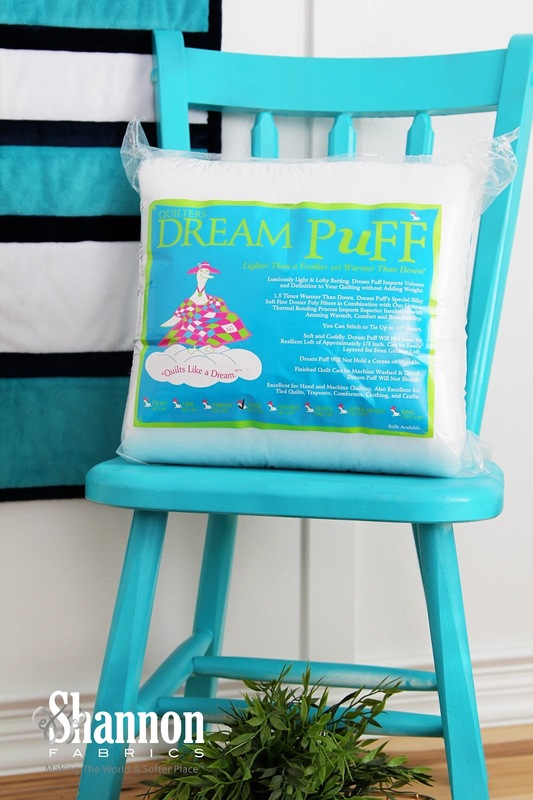 We especially love the Dream Puff for Cuddle®. It is light and lofty. It doesn’t add weight. And it is 1.5 times warmer than down. 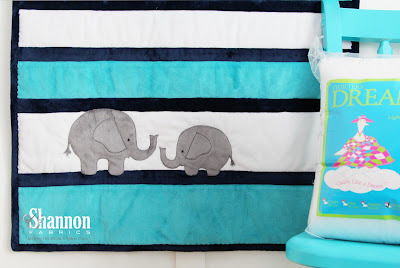 We used Quilters Dream Puff for our Elephant Quilt and it turned out great. 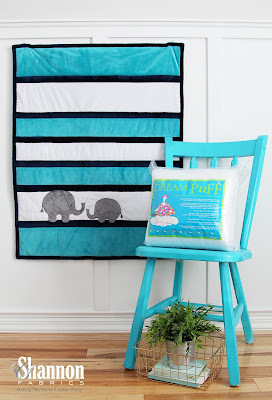 Since the majority of our quilts use a “quilt as you go” method, using batting like Quilters Dream Puff makes our quilts look extra fluffy and plush, and here at Shannon Fabrics, we are all about the extra softness and yummy goodness! Here is an example of one of our applique quilts…pattern will be available from the Shannon Fabrics website soon! You can find Shannon Fabrics at many local quilt shops and fabric stores, and online at fabric.com, theminkyboutique.com, and fabricdepot.com. You can also view our Store Locator to find online shops and shops near you. Stay up-to-date on what’s happening! Join our mailing list. Subscribe to our blog, Sewciety. Connect with us on social media too on the following: Facebook, Pinterest, Twitter, YouTube, Instagram, Google +, and Flickr. Thanks for letting us visit with you today. 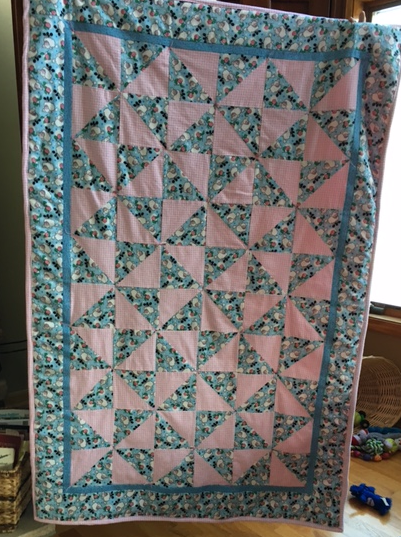 If you’d like to find out more about the Hopes and Dreams Quilt Challenge for ALS, click here. I began quilting after graduating from college in 1976 inspired by my grandmother's hand quilting. 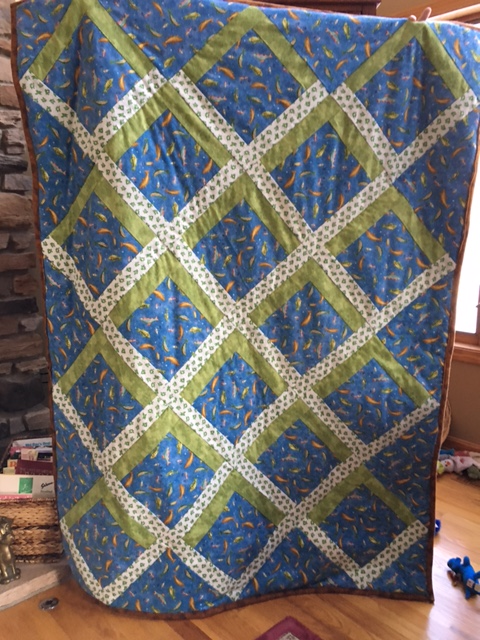 After my first-hand stitched quilt, (completed with her help), I pivoted to machine quilting. In those days, my favorite was making log cabin quilts. Just a few years after that however, my career path & children took all my time and sewing went on hold. 30+ years passed. I retired from teaching in 2015 & had inherited my mother's Bernina machine in 2013. 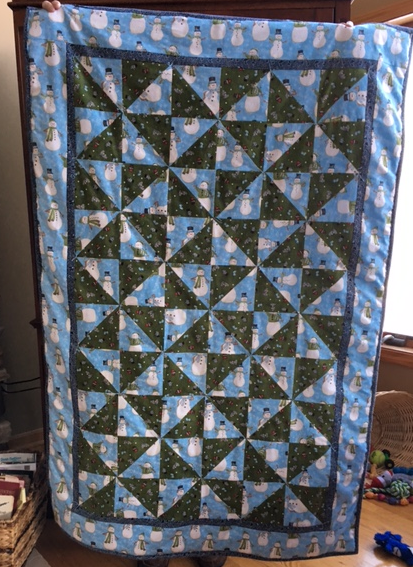 The machine intimidated me until this past fall when I desired to make each of my 3 grandchildren (ages 1, 3 & 5) a cozy, flannel quilt for Christmas to wrap them in my love despite our being 525 miles apart. 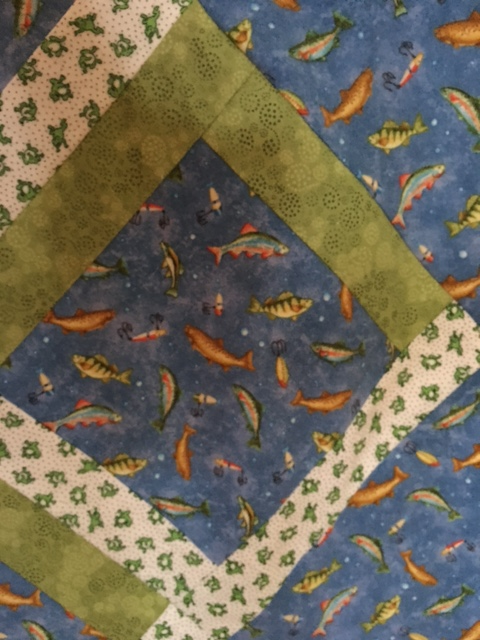 Yes, 3 quilts to make simultaneously after 30+ nonsewing years! Because I was so "rusty,” every step in the process required a lot of thought, research, and input from more experienced folks - selecting patterns, fabrics, batting, techniques, & even basics of how to use my mother's machine, starting with how to load the bobbin! 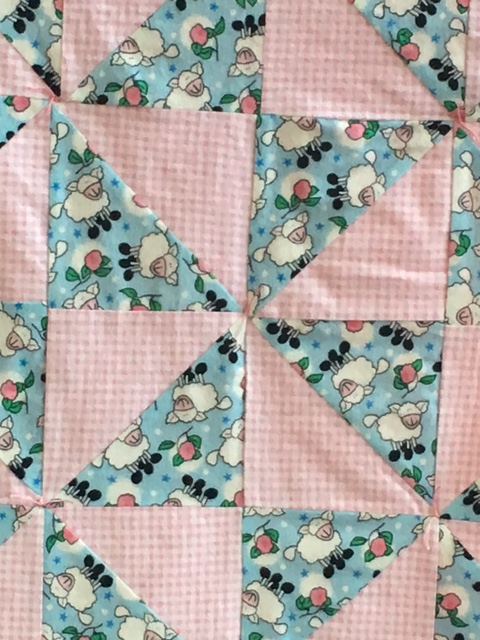 I chose two baby quilt patterns that I found online (Fluffy Pinwheels and Lazy Logs) and enlarged them both. I selected flannel fabrics online and from an incredible Amish fabric store, Miller's Dry Goods, about 50 miles from me in Charm, OH. Acquiring all the fabric, cutting, piecing & sewing 3 quilt tops took time! 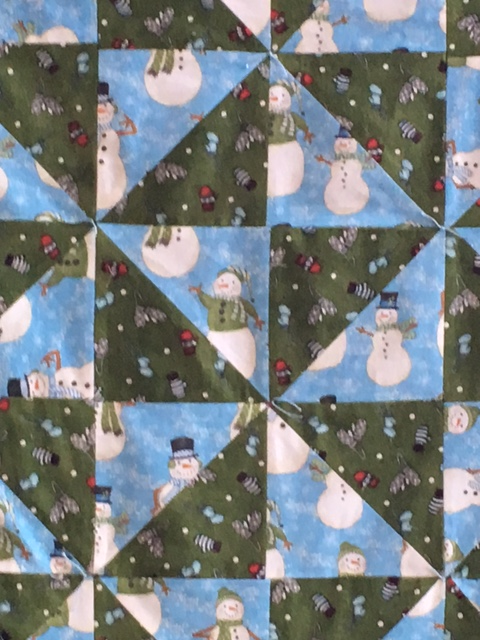 As much of an accomplishment as it was to finish three quilt tops, I knew I was a long way from being finished and Christmas was quickly approaching. 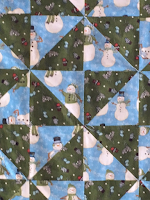 I wanted to finish each quilt with a warm, lofty batting & either hand-tie or stitch-in-the-ditch to a minky/cuddle fabric backing to keep the quilts flexible and cozy for the children to wrap up with and read their beloved books. The batting choices in today's marketplace are overwhelming! I was leaning toward another well-known brand's cotton batting until I read on the internet about Dream Puff batting by Quilter's Dream. I even called them to discuss the appealing description of Dream Puff for my project. 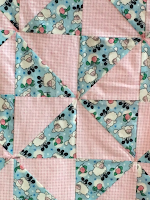 I received super-helpful, personal advice & was even provided a list of stores in my area code that carry Quilter's Dream Puff, which included the Amish fabric store where I had bought some of the fabrics. Whew!